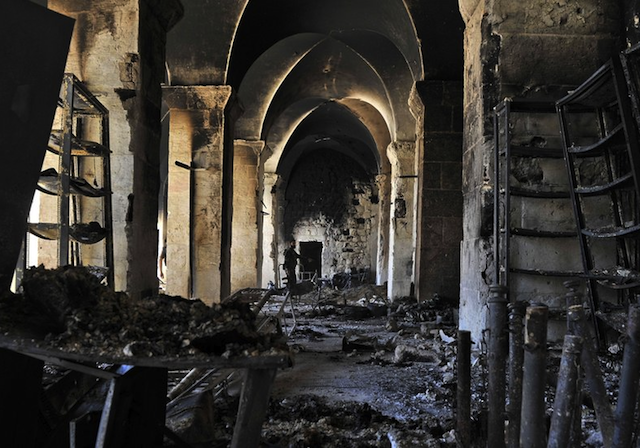 In an op-ed for the IHT UNESCO Director General Irina Bokova discusses the damage done to cultural sites in northern Mali, Syria and elsewhere. She argues that “Culture stands on the frontline of conflicts, deliberately targeted to fuel hatred and block reconciliation.” That’s exactly right I think. The challenge will be what the rest of the world can do to prevent and repair this destruction. Unesco works across the globe to harness the power of culture to bring people together and foster reconciliation. I saw this personally when Unesco helped restore the Old Bridge in Mostar, Bosnia Herzegovina, destroyed during the war in the 1990s. We saw the same power during the restoration of the Koguryio Tombs complex in North Korea, undertaken with the financial support of South Korea. This might sound high-minded compared to the terrible news we hear every day from conflict zones. And it is true that culture alone is not enough to build peace. But without culture, peace cannot be lasting. The world thought big when the convention was adopted in 1972. We need to think big once again, to protect culture under attack. We often hear that protecting culture is a luxury better left for another day, that people must come first. The fact is, protecting culture is protecting people — it is about protecting their way of life and providing them with essential resources to rebuild when war ends. This is why, for culture also, there is a responsibility to protect. Irina Bokova, Culture in the Cross Hairs, The New York Times, December 2, 2012, http://www.nytimes.com/2012/12/03/opinion/03iht-edbokova03.html (last visited Dec 3, 2012). Bokova thanked the Yale community for taking part in the campaign, noting that she saw many on campus wearing #uniteeritage pins. The initiative to protect “our shared heritage” is the “antidote for radicalization, the antidote for extremism,” she concluded.